This is a Fandom post for me so forgive me if I seem to geek out over this because I really am. 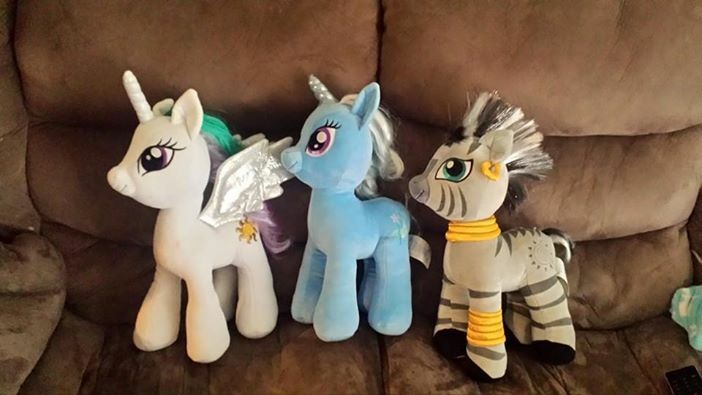 I have been to Build a Bear for their wonderful collection of My Little Ponies. I have posted one picture (without my face being shown) but today I received even more ponies! I now have a few nine ponies taking up a shelf. For some reason this makes me REALLY happy! I also am waiting on a another I ordered that was discontinued. 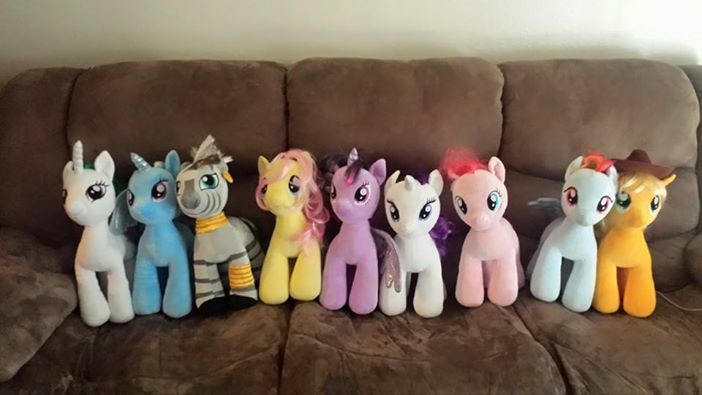 I am now missing just the new three that were released (Luna, Shining Armor, Cadence) Spike (he is the one on order), and the three cutie mark crusaders though my daughters have 2 of them (Applebloom and Sweetie Bell) and the third one was discontinued and is IMPOSSIBLE to find (Scootaloo). Scootaloo I have only seen on Ebay AU and it was 40+ dollars for the doll and 40+ dollars for shipping. 80 is not in price range. I will have to wait on her. The other item I got surprised me. 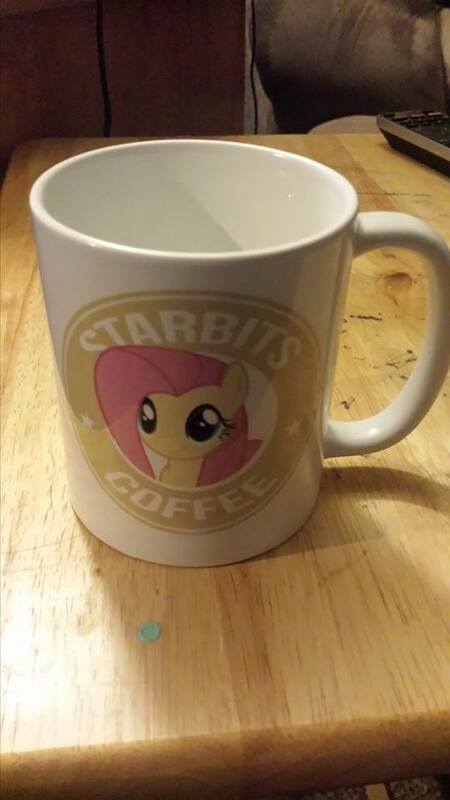 Someone, somewhere, somehow got my address and shipped me the following Item. Hug a pony my friends. I invite you to join a fandom or a hobby or something that you enjoy and can enjoy with other people. Spread the love my friends.